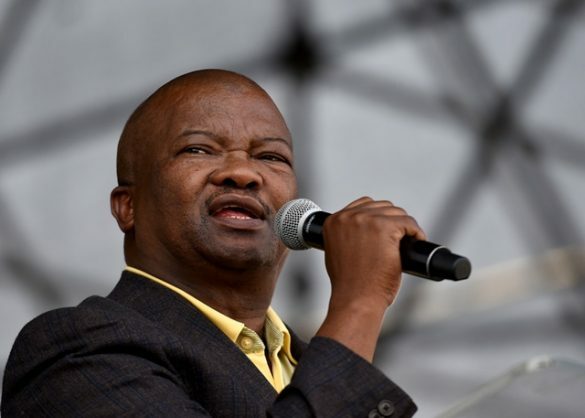 UDM leader Bantu Holomisa urged them to intervene in the strike as they had previously been leaders of mineworkers. President Cyril Ramaphosa and Minister of Mineral Resources Gwede Mantashe have been called on to intervene in the ongoing strike by members of the Association of Mineworkers and Construction Union (Amcu) at Sibanye-Stillwater gold operations. United Democratic Movement leader Bantu Holomisa said Ramaphosa and Mantashe, both former general secretaries of the National Union of Mineworkers (NUM), must intervene in the strike as they had previously been leaders of mineworkers. “They have internal knowledge of the dynamics of the sector. Above all, they know how important this sector is to the economy of the country, which is currently underperforming,” he said. The UDM leader, who himself has credible negotiation skills, having successfully helped to end a strike by members of the SA National Defence Force in 2009, urged Ramaphosa and Mantashe to act speedily to end the strike. Amcu has vowed to intensify the strike and Amcu president Joseph Mathunjwa has called for solidarity strikes by workers in the gold, platinum and coal mines. Workers at platinum mines staged stayaways last month. Amcu went on strike in November to demand a R1 000 wage increase and protesting against pending retrenchments by Sibanye. Recently, its CEO Neal Froneman announced a plan to retrench more than 6,000 mineworkers. On November 14 last year, Sibanye signed a wage agreement with the NUM, Solidarity and UASA which the company said was “significantly above inflation and the average basic pay was a more than 65% increase for lower category employees since 2013. The firm condemned Amcu for continuing the strike. “Despite numerous attempts by Sibanye-Stillwater to reach a fair outcome with Amcu since negotiations began in June 2018, and despite participating in the construct of the final offer, Amcu did not accept it,” the firm said. Recently, the Labour Court dismissed Sibanye-Stillwater’s urgent application to have the Amcu strike declared as unprotected. Holomisa added that a “country that could not function cohesively from within could not hope to attract any investors from overseas”.